After promising myself that I would attempt the next Red Lip with a bit more complementary colour on my eyes instead of a rudimentary streak of liquid liner, I failed. 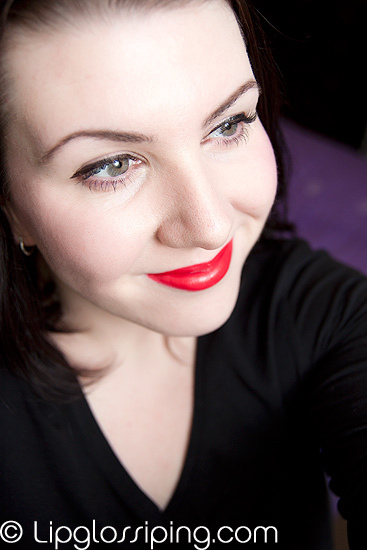 Revlon Fire & Ice is a re-release of a shade that first saw light of day in 1952… this makes it an absolute perfect option for those wanting to recreate a retro red look! Fire & Ice has that hint of orange that places it firmly in the 50s. I’m looking forward to doing the swatch comparisons for the last 7 offerings because this one will contrast nicely to the cool-toned reds that I favour without being in the same ‘orange’ family as shades like Chanel Coromandel. The formula is creamy and glossy, I tend to apply and blot before slicking on another layer. Not hugely long-wearing but it fades cleanly. 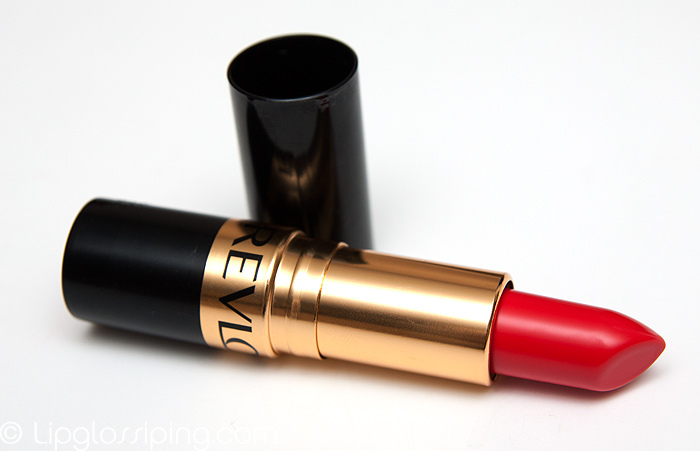 This is a great shade if you want to dip your toe into warmer reds without going all out. Plus, at £7.49… it makes for a good budget choice! Holy smokes! That is one red hot lippy. Quite a head turner; fab. That’s a gorgeous red shade! I have to say I’mnot keenon the shade. However, I do just love the packaging- reminds me of my mum’s makeup bag! Doubt this’d look good on me. You totally rock it, though! I have got to ask because your lips look always perfect! what do you do to scrub/prime them? cause they never look flacky and the colours stay on just seemlessly! Love it! Have you tried any of the other shades in the retro line? I also picked ‘demure’ on a whim, and I’ve been wearing it constantly since. It’s sheer (and, well, *demure*) but there’s something about it; it brightens my face up, and paired with eyeliner has a low-key chicness to it.